Lindsay Haskell is a freelance writer, who specializes in content related to business, marketing, health, fitness and beauty. 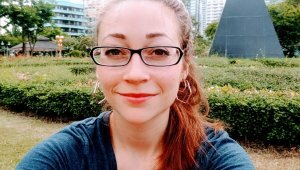 She has 8 years of professional writing experience and her work has been published on Livestrong.com, TheNest.com, eHow.com, Houston’s Chron.com and more. After attending Wellesley College, Lindsay settled into content writing, but is also comfortable writing sales copy, press releases and product reviews. She’s ghostwritten content on several niche topics such as home security, smart homes and identity protection for companies including Protect America, Lorex and LifeLock. She has also ghostwritten several buyer’s guides for self-massage tools and vitamin supplements.